You have to measure the results of your social media campaign – I bet you’ve heard it a couple of times at least. How else are you going to show the impact of your social media activities to your C-suite? But measuring the results of your social media campaign can be a tricky task. The first obstacle is the very nature of social media, as they are continually changing. The second obstacle is figuring out which metrics to choose and how to apply them. But where there’s a will, there’s a way! Measuring the results of your campaign is not that difficult after all. All you need the right attitude, a basic understanding of social media analytics and a little help from some social media management tools. Why measuring social media is important? Why measuring social media is difficult? 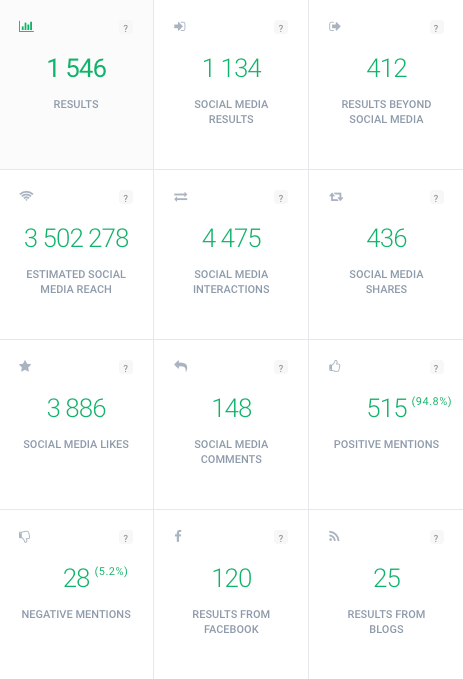 How to measure social media campaign in four steps? Can you measure social media? First things first, let’s establish why measuring the effectiveness of social media campaigns is essential. Measuring your social activities will tell you which marketing areas are a success, which aren’t, and which need improvement. The problem is, that it’s hard to establish the right metrics to follow. Followers growth and the number of likes are considered vanity metrics by many. Your management won’t be impressed by the number of hearts or emoji comments under your Instagram post. Instead, they are interested in social media ROI and increased brand awareness. 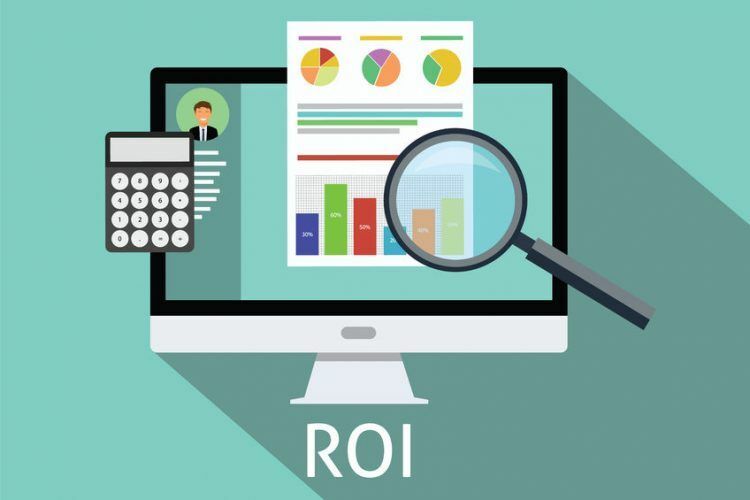 Thankfully, there are ways to present cohesive and informative measurements of your social media activities, that will show the significance of running a social media campaign and clearly state a social media ROI. The same thing that makes social media so exciting also makes it hard to measure. All the platforms are constantly changing, introducing new features, updating algorithms and policies. That means a tactic that worked one month might need some extensive twitching the next. That’s why measuring your social media performance is vital. Not only to justify your social media spending to your upper management but also to provide data to optimise your future campaigns. If you monitor your results for an extended period, you will be able to spot seasonal changes and adjust your social media marketing strategy accordingly. The second problem with measuring social media are the metrics. The metrics that are easy to count, like followers growth or the number of likes, don’t tell us a lot about social media ROI. The metrics that are important, for example, social media engagement, influencer score, voice share or social media reach are hard to calculate without the help of some additional tools. We’ve established that measuring social media campaign is no easy task, but it’s not impossible! The key to tackling complex problems is to divide them into smaller chunks and to approach methodically. So without further ado, let’s see how to track the effectiveness of your social media campaign! That should be the start of every marketing campaign – what exactly do you want to achieve with your campaign? Reach a wider audience? Increase brand awareness? Drive traffic to your website? There are different social media metrics you should follow to assess all of these results. Time-bound – we clearly indicated when the goal would be achieved. The volume of mentions – it’s the total number of mentions containing the keyword for a specific campaign. For example, if you run a social media campaign on Instagram or Twitter, it will show all the public posts that used the hashtag. It will show how far your message has spread. Posts with the positive and negative sentiment – this social media metric characterises users’ attitude towards your content. It can be positive, negative or neutral. The right metrics will provide valuable insights that will help you evaluate your efforts and implement more accurate social media marketing solutions next time. Now, it’s time to measure the results of your social media campaign. The raw data won’t tell you much. You need benchmarks or other information to know how you perform compared to your competitors. It will also help your stakeholders understand how your business is doing. When creating a social media report, try to present the data in the form of graphs and charts. It’s much easier to comprehend the effects of a social media campaign when the data is visualised. Keep your graphs simple. The topic of social media metrics is complicated enough; you don’t need to confuse it any more with unnecessary pie charts. When you’re done with these three steps, the only thing left to do is to draw conclusions from your results and adapt your metrics to the new campaign. There’s always a room for improvement, so try to tweak it a bit now and then. Putting the effort on social media presence and analyses will eventually show the return on investment. Social media is a valuable source of leads, traffic to your website, and a way to increase brand awareness. 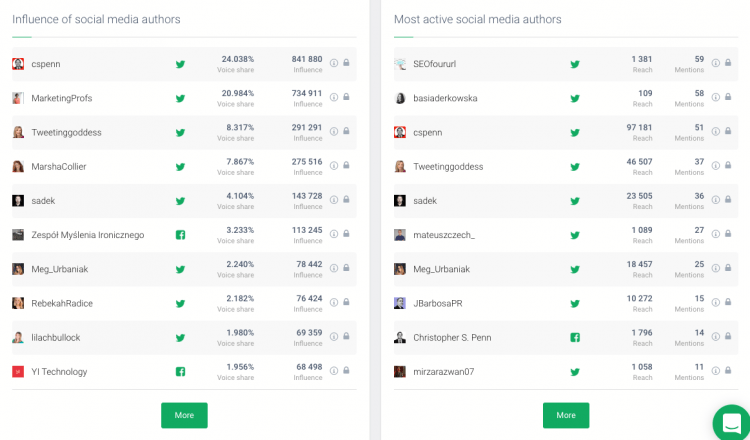 Measuring the effects of social media campaigns is easy if you have the right tools. Different tools on the market will help you track the effects of your social media campaign. 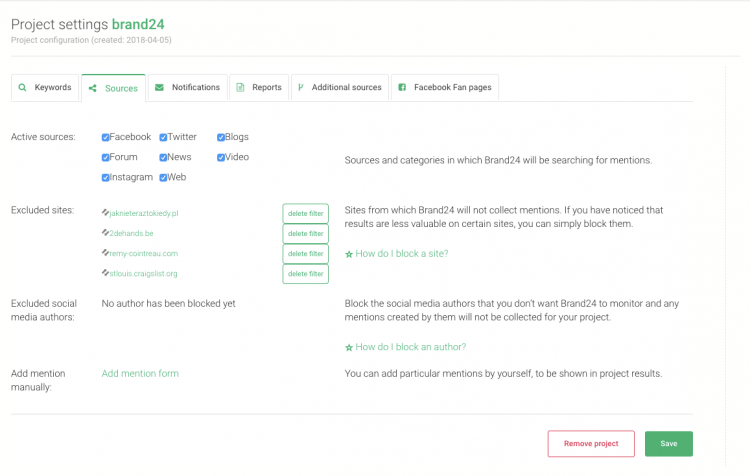 I’d like to recommend one of Buffer’s top social media monitoring tools, Brand24. Brand24 will provide all the necessary data to evaluate and improve your social media campaign. And it’s easy to use! It all starts by creating a project. In the project creation wizard enter the keywords you’d like to track. If you want to measure brand awareness enter the name of your company or the name of a specific product. Brand24 is also a great tool to measure hashtag performance across different social media channels, for example, Instagram or Twitter. 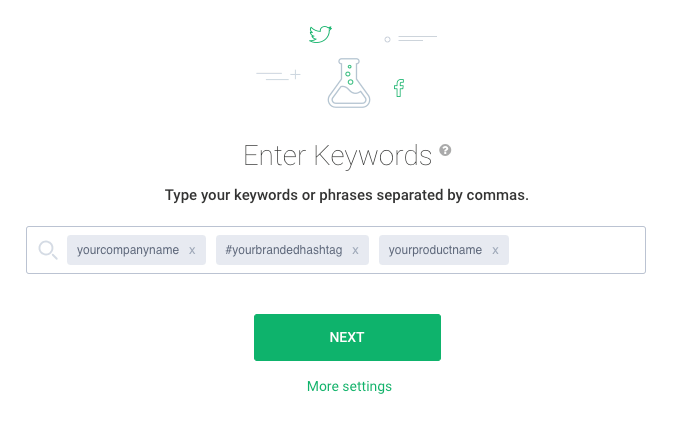 All you have to do is enter your branded hashtag as a keyword. Once you created a project, you can further narrow down the search when you go to the Project Settings tab. It works like a Boolean search so that you can add a required keyword or excluded results containing certain keywords. You might be interested in social media mentions only from a particular social media platform. In that case, go to the “Sources” tab. You can also select the language you’d like to follow or exclude certain sites. The metrics you’d like to see are in the Analysis tab. You can set the date range so that it will suit your needs. Once you do that, the world of social media metrics is your oyster! 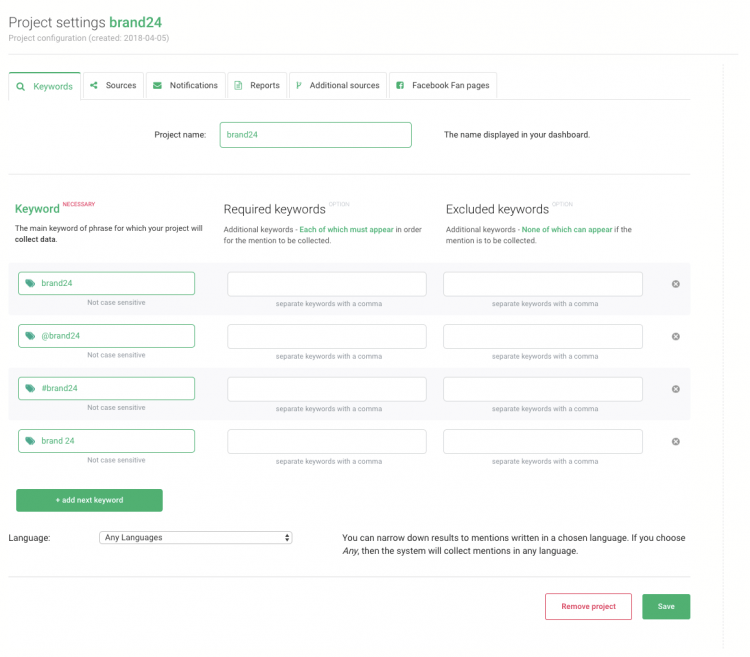 Brand24 will show the total number of results, the estimated social media reach, social media interactions, and a number of positive and negative mentions. 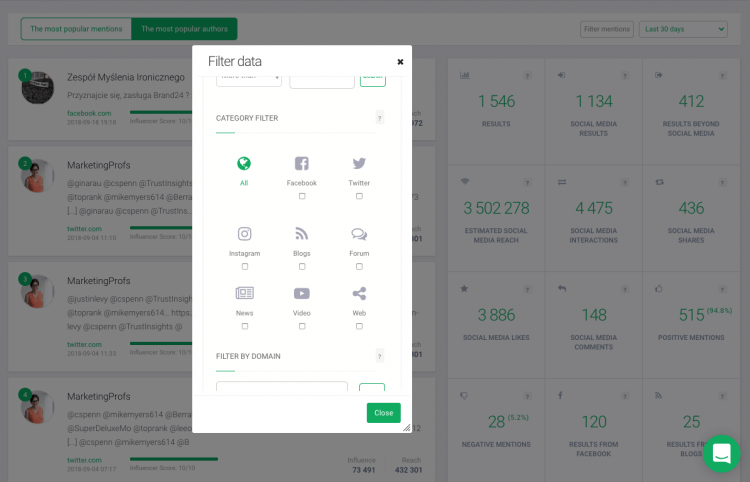 What’s more, you can easily filter the data to find social media influencers talking about your product. All you have to do is choose the most popular authors and then filter the results according to the social media platform you’d like to analyse. Brand24 will also show you the influence of social media authors together with the share of voice and their influence. Moreover, it’s a great tool for ongoing monitoring of your brand reputation. By collecting all the mentions with the name of your brand or product, you can spot the social media crises before they escalate. Brand24 offers a 14-day free trial, no credit card required! Yes, you can, and it’s not as hard as it seems! 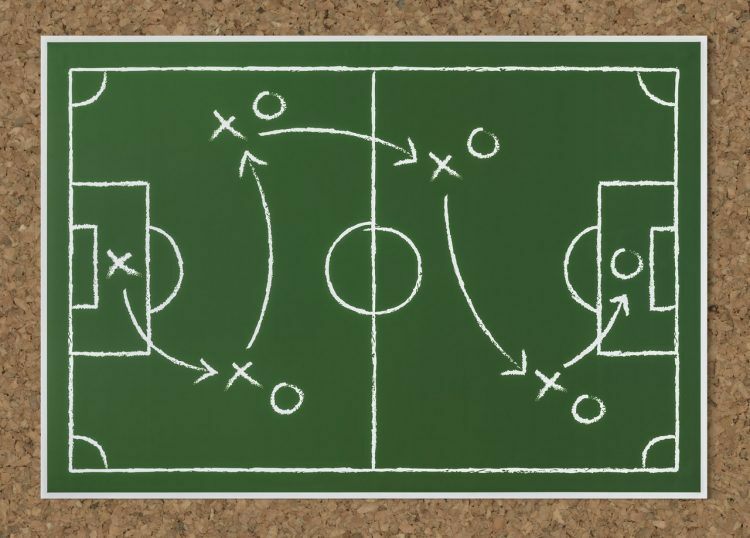 All you need is a strategic approach and a little help from an external tool. Measuring your results should be your top priority. It will allow you to be a better social media strategist and will allow your management to see how much ROI social media strategy can bring.